Because I essentially have the heart of a child and own a bit of a playful nature myself, I cannot help but bring a new (and cheeky) sub-category 434 days into the Countdown. Outside of celebrating G.O each and every day of his service, one of my favorite parts of this countdown journey has been coming up with sub-categories to help guide me. Some of those categories are perhaps somewhat serious while others are a bit more quirky and (hopefully) fun. This latest idea came to me suddenly and falls directly into the ‘fun‘ side of the spectrum. I am calling it The ABC’s of G.O. 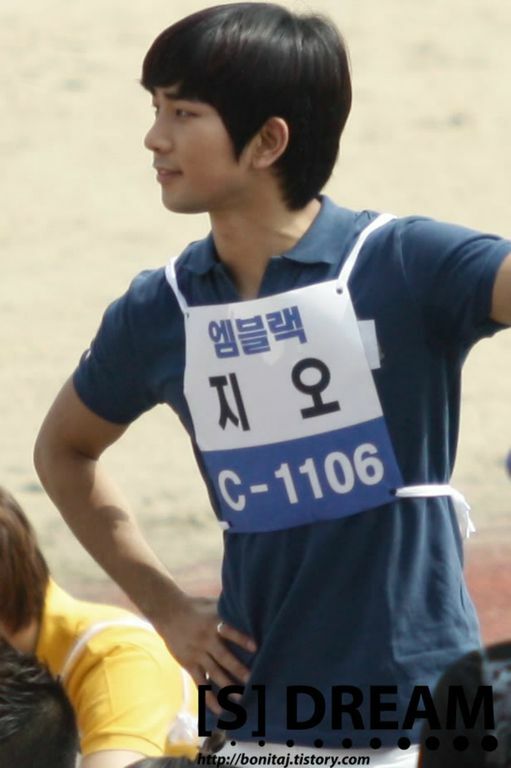 My goal is to make my way through the alphabet, choosing a word for each letter that I believe describes G.O. I will try to veer from the obvious and will dig deep into my Thesaurus. It may prove to be challenging, but I am ready. Beginning at the beginning today with the letter A. We all know G.O to be an adept dancer with good rhythm, flow and stamina. It is a given that a dancer must be reasonably agile, even athletic. G.O has proven his agility over and over on the stage while engaged in the choreography of a performance. But what about his agility as it pertained to sports? 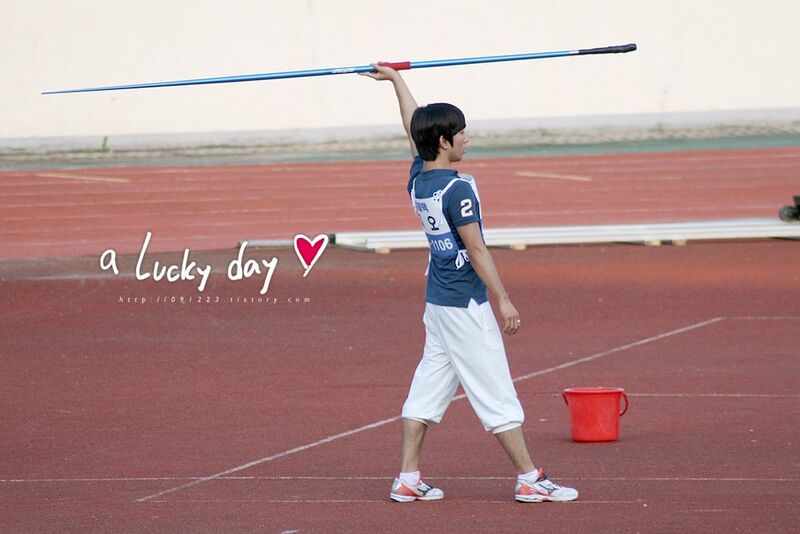 Well, we got to experience a little taste of G.O’s athletic agility during the 14 September 2010 Chuseok Special Idol Athletics Championships. Impressive!! And what shapely calves he has! G.O’s agility also lends itself well when it comes to being quick on his feet. That was a valiant effort leader-nim . 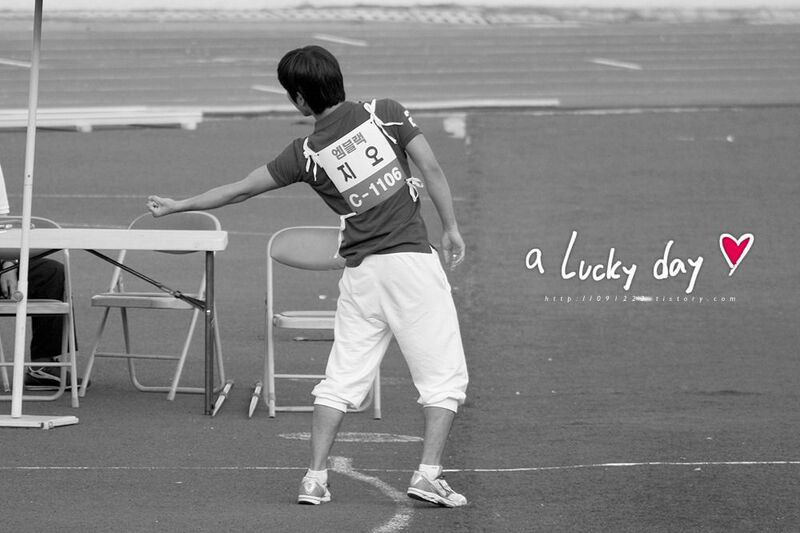 . . but there was no catching speedy Byung Hee! 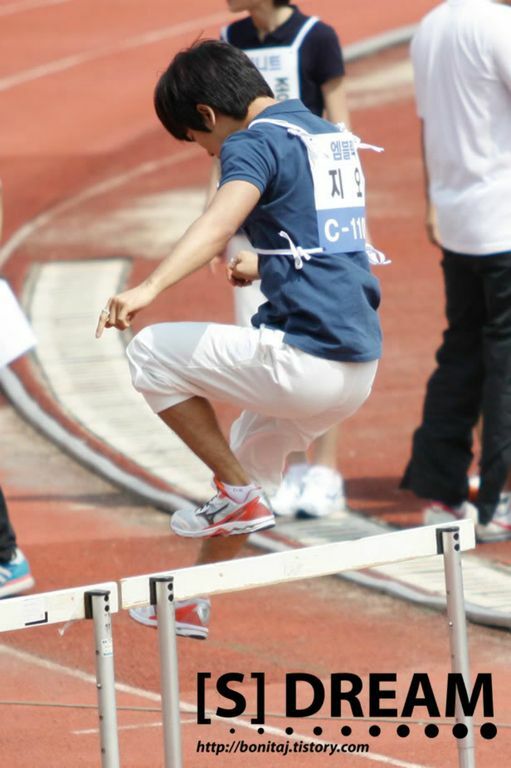 It is a combination of strength, balance and yes, agility that give G.O his natural athleticism. I think it is safe to say that all of those (and more) give him an ease in movement be it on the stage or playing field. 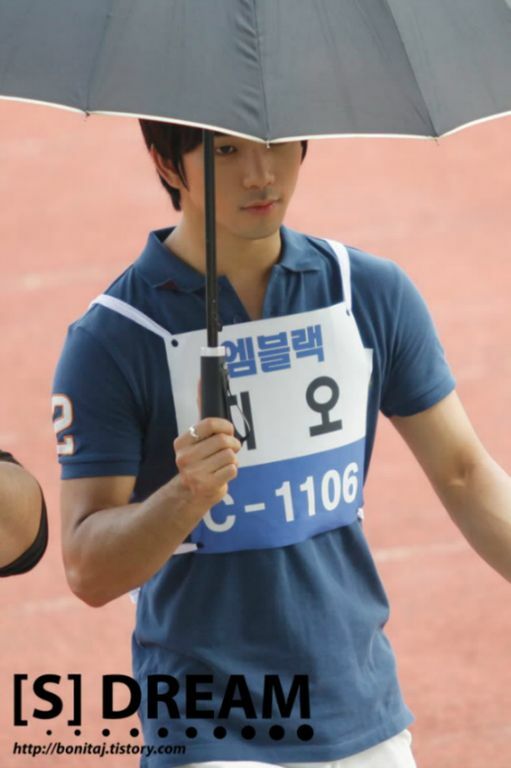 Categories: G.O Military Discharge, MBLAQ Musings, The G.O Files | Tags: 2010 Chuseok Idol Star Athletics Championships, Athletic G.O, Countdown To Discharge, G.O, G.O images, G.O's Military Service, 정병희, 지오, Jung Byung Hee, Jung Byung Hee images, MBLAQ G.O, MBLAQ G.O Fan Cam, MBLAQ G.O images, The ABC's of G.O | Permalink.